Abu Dhabi might just be the most exciting destination in the Middle East. Here’s why. 1. It’s a gateway to the largest contiguous sand desert on Earth. The Rub’ al Khali, or Empty Quarter, encompasses much of the southern Arabian Peninsula. From Abu Dhabi, there are countless ways to explore it. The luxe route is on a trip to Qasr Al Sarab Desert Resort. Arabesque architecture, lantern-lit hallways, views of the sweeping dunes from every window — it’s an incredible property. It’s not the cheapest place to stay, but deals are available in the low season (May through October), with surprisingly cooler, drier weather than in the city. For the intrepid, head south to the Liwa Oasis on the desert’s edge. Explore the nearby swathes of sand by day, pitch a tent and sleep under the stars by night. Bring adequate supplies, as there are fewer places to get essentials out here than in the city. 2. Major sporting events draw all the greats to the city. Every January, the Mubadala World Tennis Championship brings tennis A-listers like Rafael Nadal and David Ferrer; in the same month, the HSBC Golf Championship hosts pros like Rory McIlroy and Rickie Fowler. 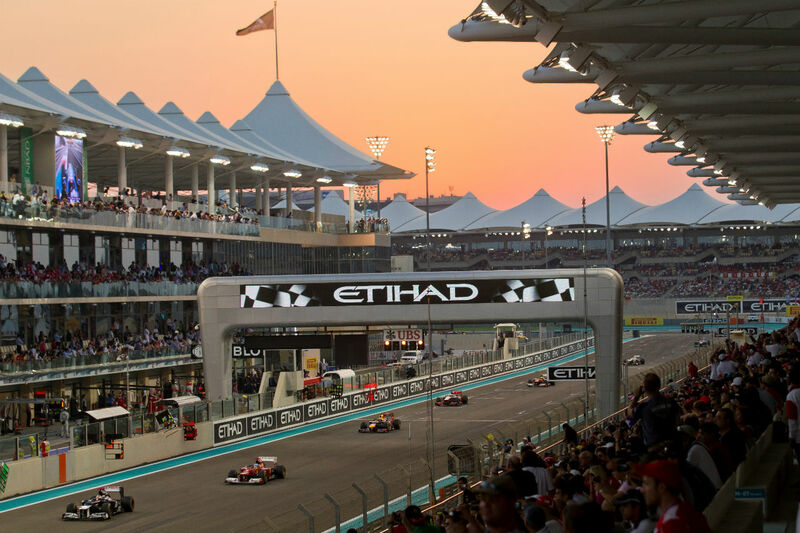 The Formula 1 Etihad Airways Abu Dhabi Grand Prix (November 25-27, 2016) means Lewis Hamilton and Sebastian Vettel are in town — as are the world’s biggest musical artists. That’s because the After-Race Concerts series delivers a musical lineup to rival the Super Bowl halftime show. Rihanna headlines this year on a stage that’s hosted the Rolling Stones, Jay-Z, Kanye West, Andrea Bocelli, Metallica, and Florence + the Machine. After the show, it’s not uncommon for the musicians to pop into local clubs like MAD, Rush at the Yas Viceroy, and LIV at Yas Beach. 3. Abu Dhabi is building a world-class art scene. The UAE is only 44 years old but, like everything here, Abu Dhabi’s art scene is getting a jumpstart well before its time. 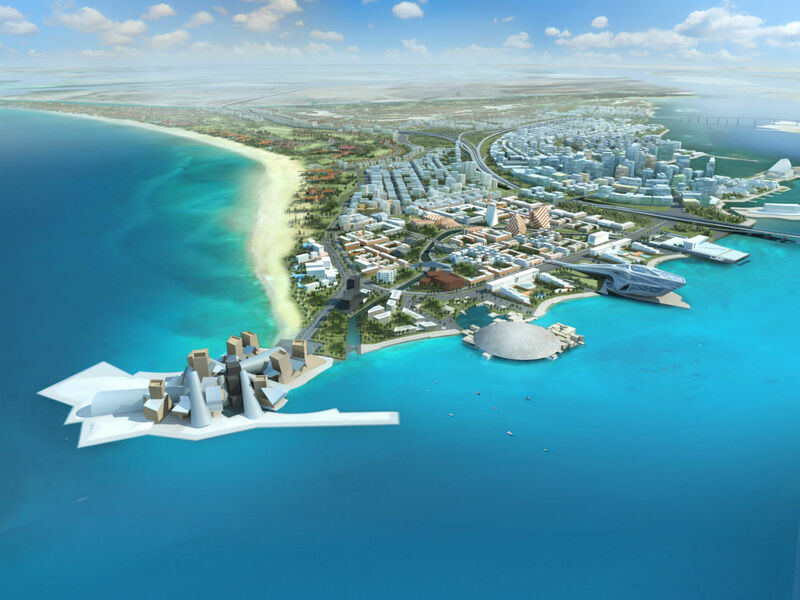 The construction of Saadiyat Cultural District — a few minutes from downtown — will see the opening of the Louvre Abu Dhabi, Zayed National Museum, and the Frank Gehry-designed Guggenheim Abu Dhabi, among others. And behind every glittering art institution is a strong grassroots effort. Find the newcomers and art scene builders at Warehouse421 in the industrial port of the Mina Zayed area, and the music scene-makers at White Cube Studios and at Metronome and Rooftop Rhythms events around town. Visit Mina Port’s many bustling souks to see how the people of the region once shopped — and still shop — for everything from fresh fish and vegetables to incense and Moroccan tea sets. 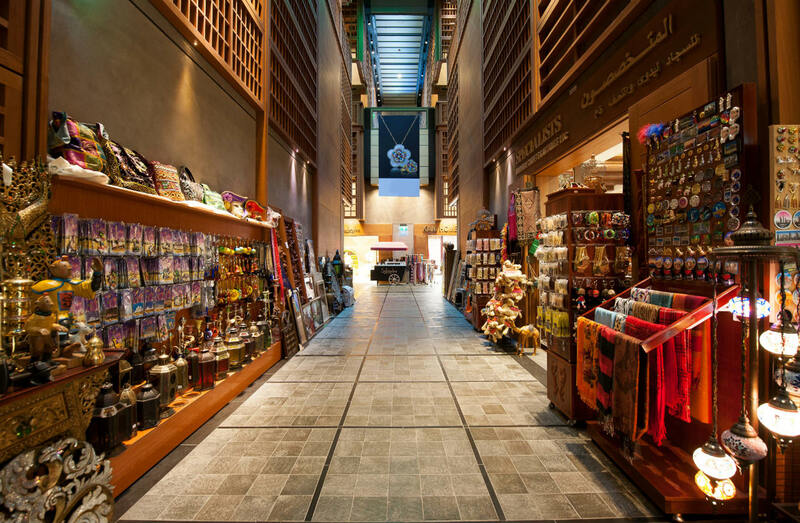 Wander Abu Dhabi’s downtown to discover the history behind all the glossy skyscrapers. The 18th-century Qasr al-Hosn coral and sea stone watchtower is the symbolic birthplace of Abu Dhabi; every February, a festival is held here in celebration of Emirati history, culture, and poetry, and traditional foods and dances are on full display for two weeks. Sheikh Zayed Grand Mosque — voted the world’s second-most popular landmark attraction in 2016’s TripAdvisor Travelers’ Choice Awards — is truly a must-see. Among the skyscrapers, you’ll also find older and smaller mosques with elegant tile work and rich histories. For a grand tour of other notable mosques, drive 20 minutes north of the city on the Abu Dhabi-Dubai Highway and take the turnoff for Al Bahia. Drive north on the road that runs parallel to the highway on the north side and be treated to a row of small yet stunning mosques. Coming in colors from turquoise to teal and in a kaleidoscope of arabesque patterns, it’s impossible to take a bad picture here. Just be sure to visit the lesser-known mosques outside of Friday — the holy day — and Ramadan. 6. 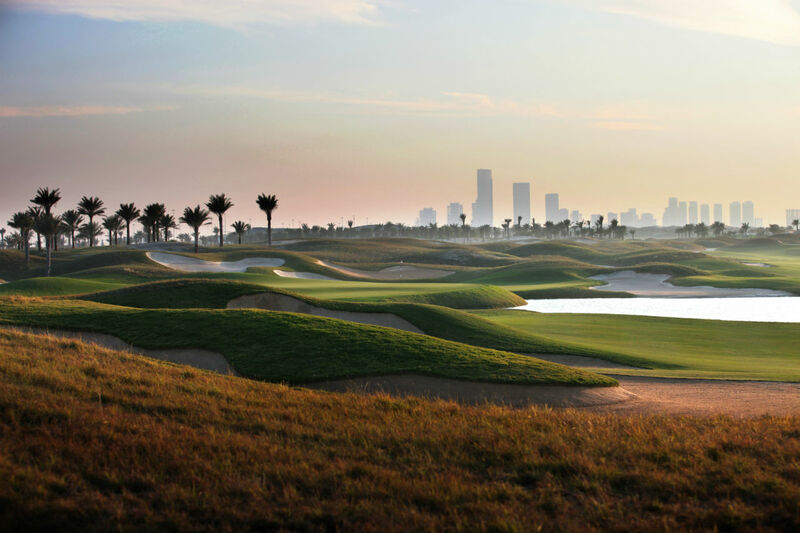 Abu Dhabi’s home to world-class golf courses. Abu Dhabi Golf Club is the place to go for bragging rights; it’s one of only a handful of clubs that’s open to the public and frequented by pros like Rickie Fowler, Rory McIlroy, Jordan Spieth, and Phil Mickelson. Also hit up Saadiyat Beach Golf Club and Yas Links for sea views so stellar they may be distracting enough to lower your game. Green fees at these Championship golf courses can sometimes run less than $100 US in off-peak times (but are often much more than that). 7. The beaches are next level. Home to more than 200 islands just off the Arabian Peninsula, Abu Dhabi’s fringed by white sand beaches steps from the office buildings and hotels. It can be a major distraction for those who work downtown and have a window. But for visitors, Abu Dhabi’s shoreline is one of its top draws. Hit up the free — and buzzing — Abu Dhabi Corniche, five miles of white sand, bike paths, cafes, and restaurants. On weekends, join in with the multinational beach volleyball games, picnickers, and beachcombers searching for that perfect shell. Maybe an even better way to explore the boardwalk — rent a bicycle from FunRideSports stations ($8 and up). 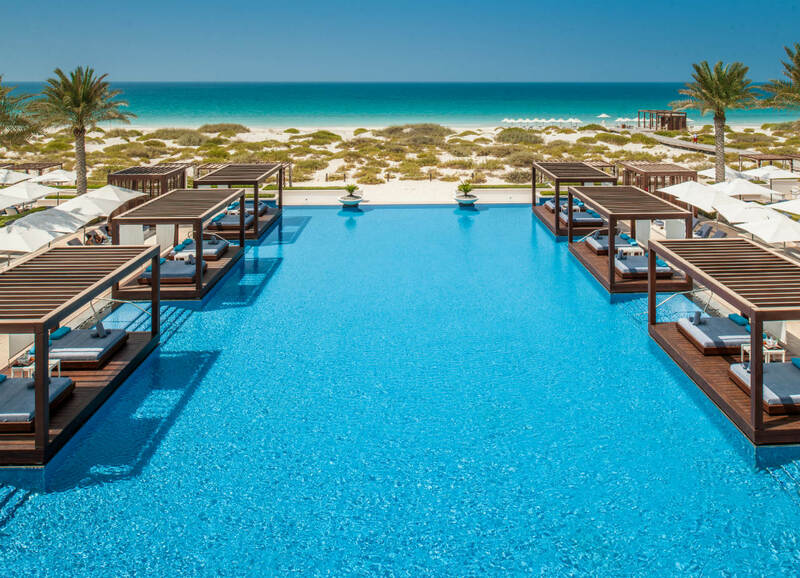 Saadiyat (~$14 weekdays, $20 weekends) and Yas Beach ($14-$27 US) charge a fee for a beach day with amenities like loungers and beach umbrellas. 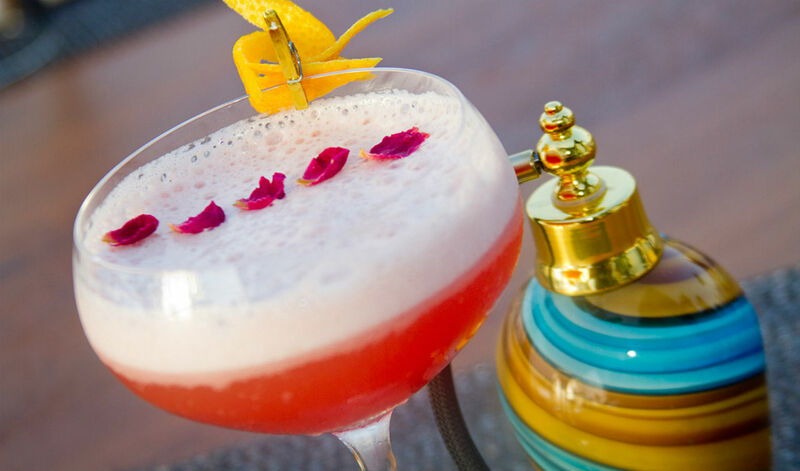 Saadiyat is preferred by families, and Saadiyat Beach Club with its poolside lounge beds are what luxe dreams are made of; Yas Beach has a younger vibe with its Ibiza-style chill-out music, LIV nightclub, and restaurants. 8. 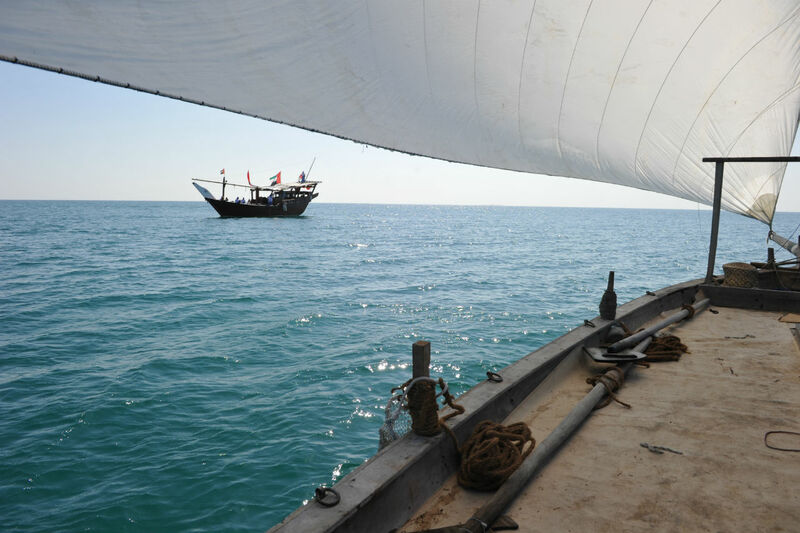 You can ride on a dhow and relive the not-so-distant national pastime of pearl diving. For generations, traditional jalboot dhow boats ferried divers out to sea in the hopes of finding an elusive pearl. Once oil was discovered and meteoric levels of prosperity became the norm in Abu Dhabi, most divers retired to pursue less backbreaking professions. With Abu Dhabi Pearl Journey (around $130 US for a 90-minute tour), you can sail out to the Eastern Mangroves, a nature reserve full of marine life and birds — including the odd flamingo. Local dates and Arabic coffee are served as you watch a pro dive for pearls in their secret spot. They then share the practices of not only how to find the oysters with pearls inside, but how to crack them open. And you get to keep your very own sea pearl souvenir. 9. The food festivals here are amazing. For November’s Taste of Abu Dhabi, the city’s best chefs and restaurants flaunt their signature dishes for three straight days. For a small entrance fee, you can sample your way around the capital’s finest restaurants in a series of small bites while being entertained by big-name acts like The Wailers, who headlined the 2015 festival. December’s Abu Dhabi Food Festival is equally huge, with traditional and contemporary dishes served up by the city’s finest chefs at Emirati Kitchen. The StreetFeast section of the festival involves a caravan of food trucks preparing the best street food from around the world, while Gourmet Abu Dhabi features the Michelin-level dishes the city’s restaurants are known for. February sees the buzzing Love Food Festival come to town, with trucks serving everything from Louisiana spicy shrimp po’boys, to churros, to elegant Parisian pastries, courtesy of celebrity chef Eric Lanlard. 10. You can see one of the world’s largest herds of endangered Arabian oryx. As mentioned above, Abu Dhabi emirate includes more than 200 islands. 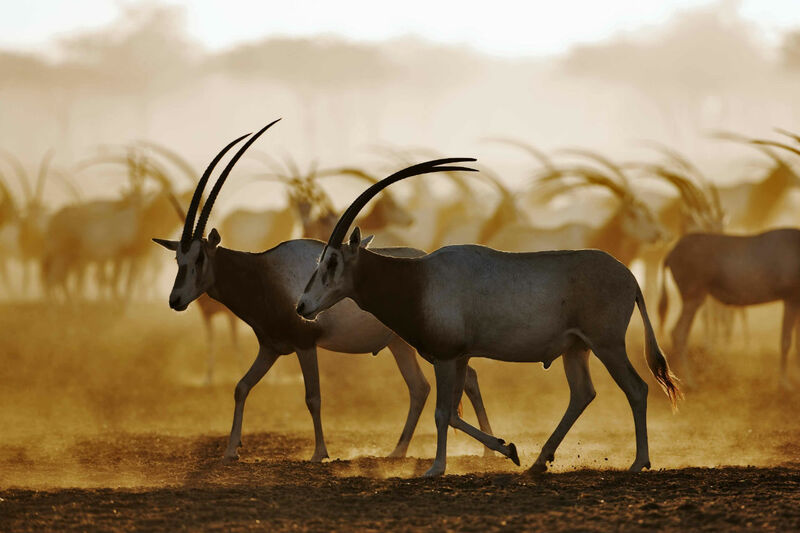 One of the best — Sir Bani Yas — is the largest natural island in the UAE. Boats to Sir Bani Yas leave from a jetty a three-hour drive southwest of the city, and once you’re on the island you’ll find the 1,400-hectare Arabian Wildlife Park. It takes up about half of the island and is home to 13,000 free-roaming native animals, including a herd of over 400 endangered Arabian oryx. You can also watch for the Sudan cheetah, Somali ostrich, and striped hyena, as well as more than 100 species of wild birds. With three hotels on the island, and a ton of other activities to take part in, there’s plenty to keep you busy here for at least a few nights. 11. There are countless ways to cool off on the water. 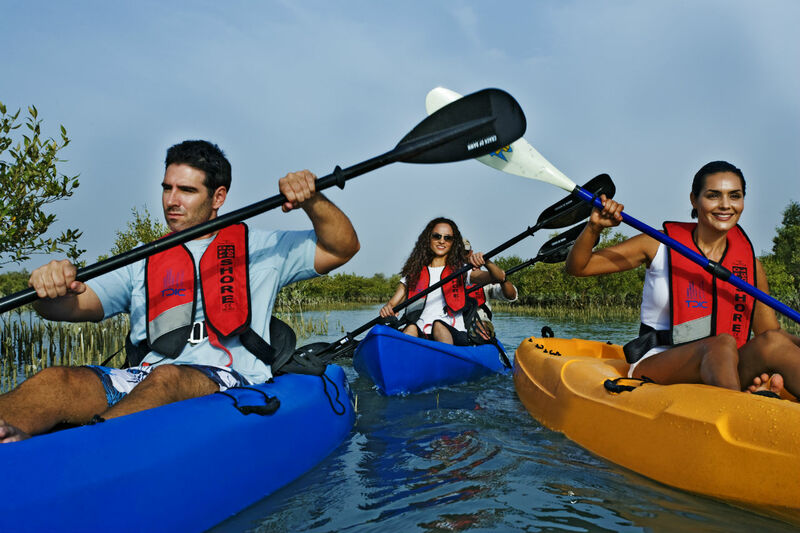 Spend the afternoon kayaking through Abu Dhabi’s mangroves (around $50 US for 2 hours) around Yas Beach, or strap into a flyboard to jetski in the air ($70 US for 30 minutes). It’s intense, physically demanding, and amazing. For those who’d rather be escorted by boat around a new city, the Yellow Boats service will take you on a high-speed tour of Abu Dhabi in luxury and comfort; you’ll see all the sights and get plenty of photo opps at Emirates Palace — one of the world’s most opulent hotels — the many palaces of the royal family, and the Sheikh Zayed Grand Mosque. If you’re lucky, you might see a few dolphins too. 12. Yas Island has amusement parks unlike any you’ve seen. 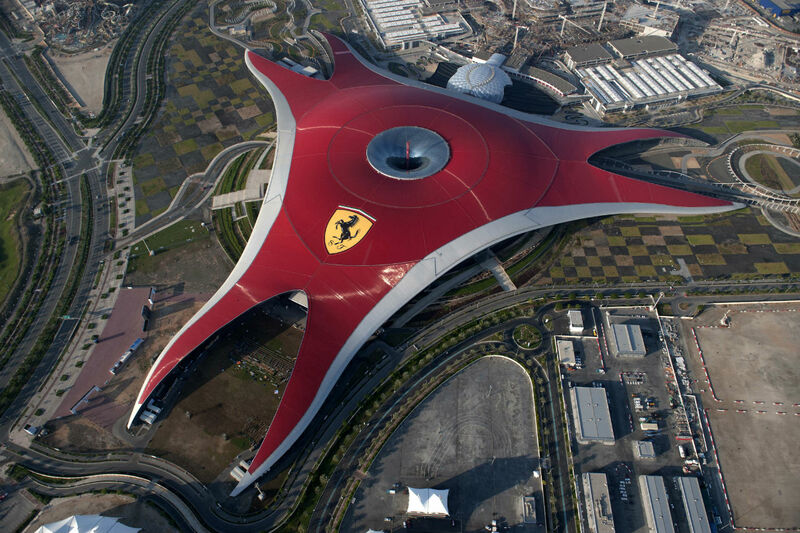 This part of the world is known for its world records, and Ferrari World Abu Dhabi has the fastest roller coasters on Earth. Their newest, Flying Aces, also has the world’s tallest loop — a 17-story, 170-foot drop. It also travels up to 75mph. High above the Formula 1 Etihad Airways Abu Dhabi Grand Prix track is the world’s fastest roller coaster, the Formula Rossa. Running at top speeds of 149mph, the aim is to accurately recreate the sensation of driving a Formula One car, with drops and turns that generate up to 4.8G. And at the nearby Yas Waterworld you can ride the Liwa Loop, a high-intensity looping waterslide. Plus Warner Bros. World Abu Dhabi is set to open on the island in 2018, and there won’t just be rides. There’ll also be the world’s only Warner Bros. branded hotel, right here in Abu Dhabi. 13. There are fantastical ways to get here. Traveling can be draining and expensive, but Abu Dhabi’s award-winning airline — Etihad Airways — makes crossing the globe pretty simple. With direct flights from six US cities — Chicago, Dallas/Ft. Worth, Los Angeles, New York, San Francisco, and Washington, DC — you can fly straight to Abu Dhabi, discover what makes the city tick, then take a short drive over to Dubai. 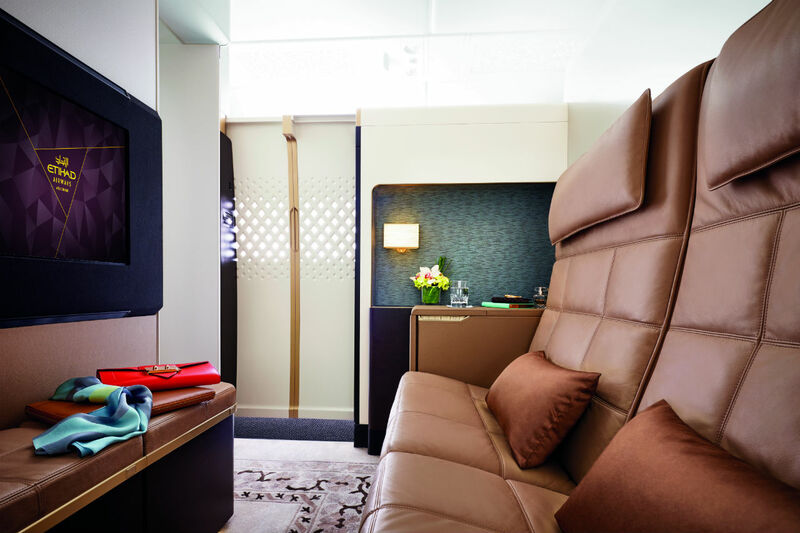 If you really want to travel in style, The Residence by Etihad puts even first-class to shame, with a private living room, bedroom, and a shower room. Then there’s the Savoy-trained Etihad Butler, the Inflight Chef… Go for it, or just Google the Residence commercial with Nicole Kidman from your comfy seat in coach and dream with the rest of us. This post is proudly produced in partnership with Visit Abu Dhabi.